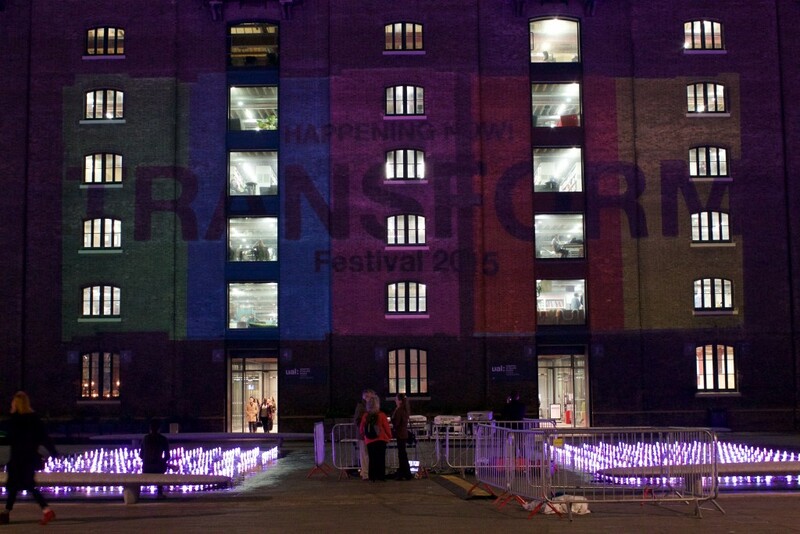 Projection mapping event at Central Saint Martins in collaboration with Henrique Ghersi with custom water fountain feature. The aim of the project was to advertise the Festival of Applied Imagination which was taking place at the same time. We oversaw the logistics and design for the projections using the creative design by the MA Applied Imagination students. 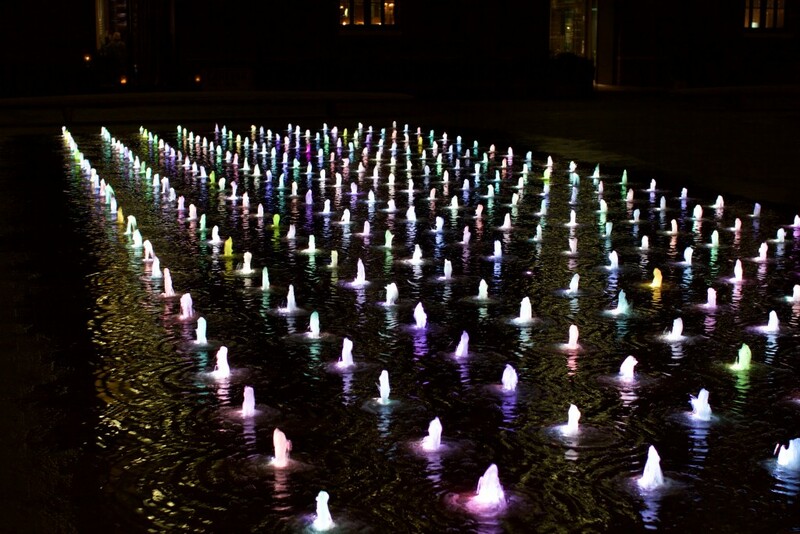 The water fountains were controlled using an animated .gif file to adjust height and colour.